Wondering how to survive the cold weather? 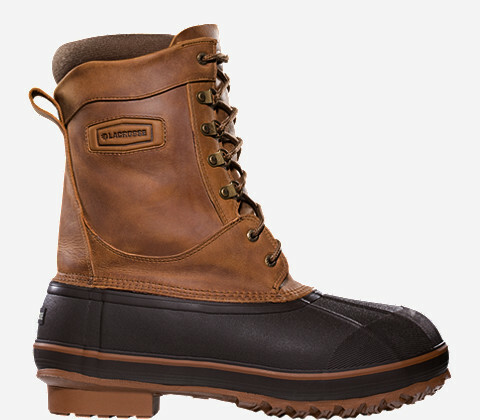 Here are a few winter boot designs and brands worth considering! They are placed in order from ‘warmest’ for the Arctic to ‘warm enough’ for more temperate places. 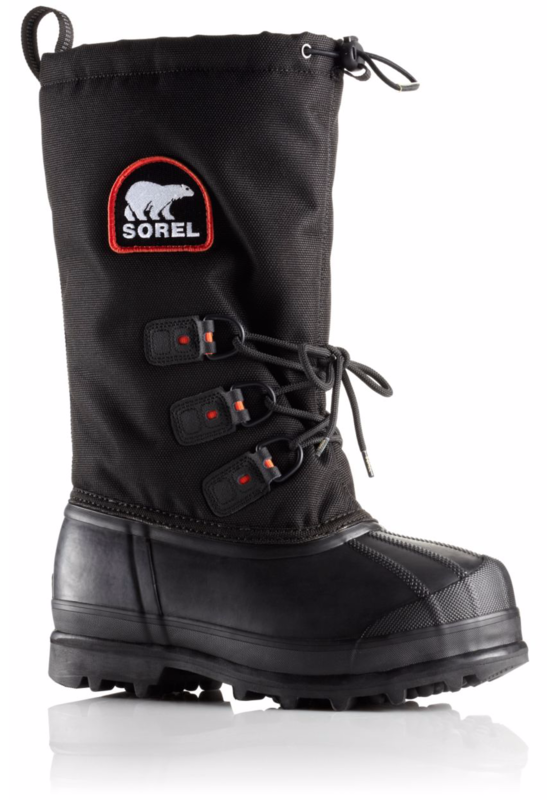 For an extreme Arctic-style boot, this Sorel Glacier XT model seems to be the most trusted. I thought that my La Crosse boots were the fattest boots I would ever need in my life but was wrong: was recently informed that for a trip to Ilulissat in winter, I would need something warmer to withstand the -30*C / -22*F climate. These make the La Crosse boots look like babies in comparison. Many of the fishermen / dog sled drivers in Ilulissat wore versions of these, so I guess they are tried and truly tested! They have a ‘new Omni-Heat™ reflective lining added to the inner boot’ to keep warm. It retails in Canada for CAD 160, but they go for 1600 DKK in Greenland- 100 dollars more dear! 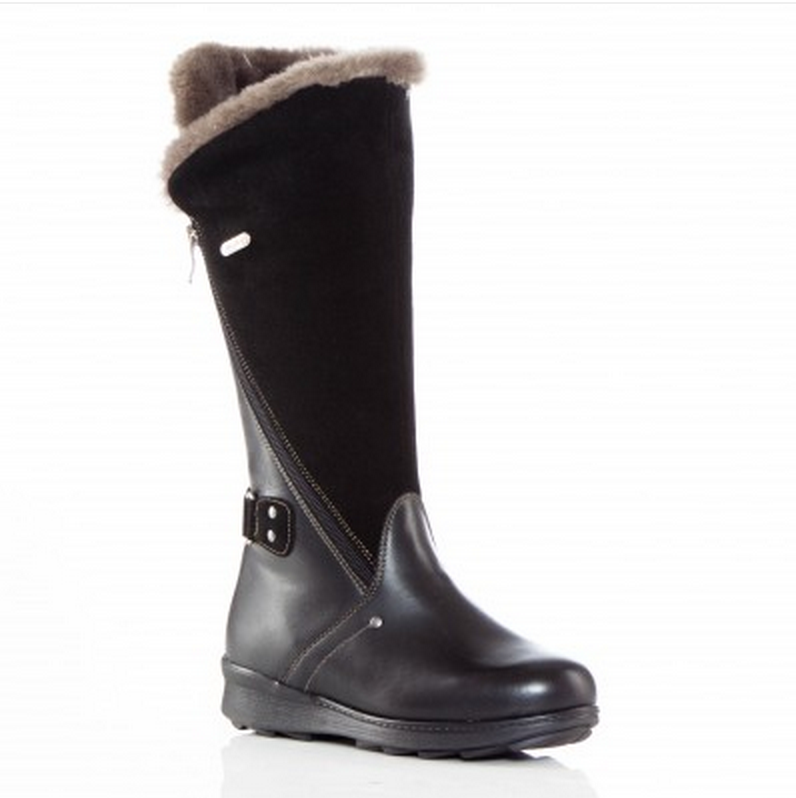 For what they are, these ‘London‘ boots by Pajar are stylish and can withstand up to -40*C/*F! Note the thick sole at the bottom – this is because it is so cold from the ground. I can’t find anything as good looking here in Greenland for that temperature. They come at the cost price of CAD 410, which considering the technology and design put into them is alright! When it comes to warmth, natural furs work wonders. When you’re in the high North, you will see why people wear furs – it just fits so well with the nature. This pair of Kiona Black Seal Fur Angela Heel boots have retractable traction soles for those very slippery days in the icy weather. At CAD 503 they are not cheap but I presume are very warm and appropriate! 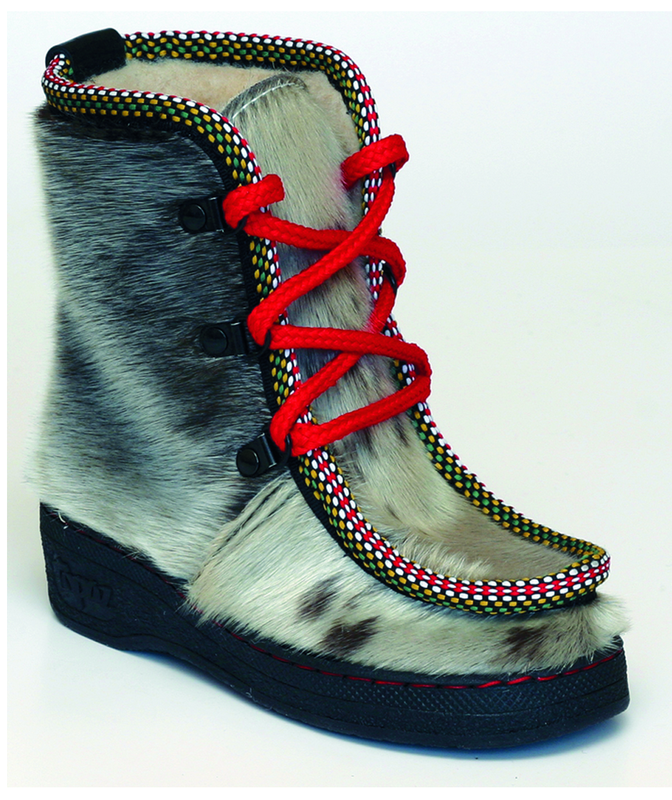 Most of the seal fur boots sold in Greenland seem to come from Norway. I picked these ‘Topaz Art 54 seal‘ boots up at the Red Cross in Nuuk used, and they have much higher warmth-to-weight ratio than synthetic materials. 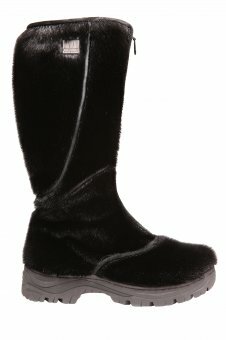 Although water repellent, fur boots are best for dry snowy weather instead of wet weather. These ‘Ice King 10″ 400G‘ boots to the left are warmer than the pair I have. They have naturally insulating properties with a felt insole and polyfoam liner with 400G Thinsulate Ultra Insulation. Good for up to -21*C / -6*F.
Dubbed as ‘industrial footwear for women’, I’d never heard of the brand Kodiak before, but was lured to this particular ‘Trinity II’ waterproof model because of the lovely red leather….and 50% off at the local fashion boutique when I bought them! It’s a bit tough and sturdy, so I took a bigger size than usual but other than that I’d say I’m really happy with it! They now act as the gumboots I never had…in Greenland they are my autumn/fall boots, though in any warmer country they would be fine for winter. With warm woolly socks, they are good for 5*C / 41*F.
They retailed at 1600 DKK in Greenland, and CAD 250 in Canada. Finally, what NOT to buy. Pajar has designed some great looking and practical shoes, but this is not one of them. I bought it at the Red Cross brand new, wondering why someone would throw out a pair of gum boots from Pajar worth about 175 bucks. A year on after using them, I understand why. These boots are in-betweeners. They don’t really work for rain weather, because they have the thermo padding upper layer which is not waterproof. It’s not that great for cold weather either, because below they are really just gum boots. Each time I wore them in the rain, water seeped in through the thermo pads. So don’t buy this one. =) But I wouldn’t rule out Pajar as a brand. So many boots to choose from! But as you say, some are for colder climate than others. In Australia, the coldest it gets in the mornings is 0’C in the city, rarely dropping lower than that. So we tend to wear regular footwear like sneakers or work shoes. I’m not a fan of wearing boots or shoes that extend past the ankles, though, and of the boots that I’ve tried – winter and fashionable boots – they tend to be too narrow at the tip for my feet since I have wide feet and toes.